The R-FIT Fuel Intensity Tracer is a full featured fuel controller applicable to most vehicles. It is equally effective on N/A engines with basic bolt-ons to turbocharged cars modified with higher boost. It is very important that cars with such modifications also have the fuel demands altered to prevent potential engine damage or detonation. It will assist the factory ECU in keeping the proper air-fuel ratios. The R-FIT makes this possible without the need for a full remapping of the cars ECU. 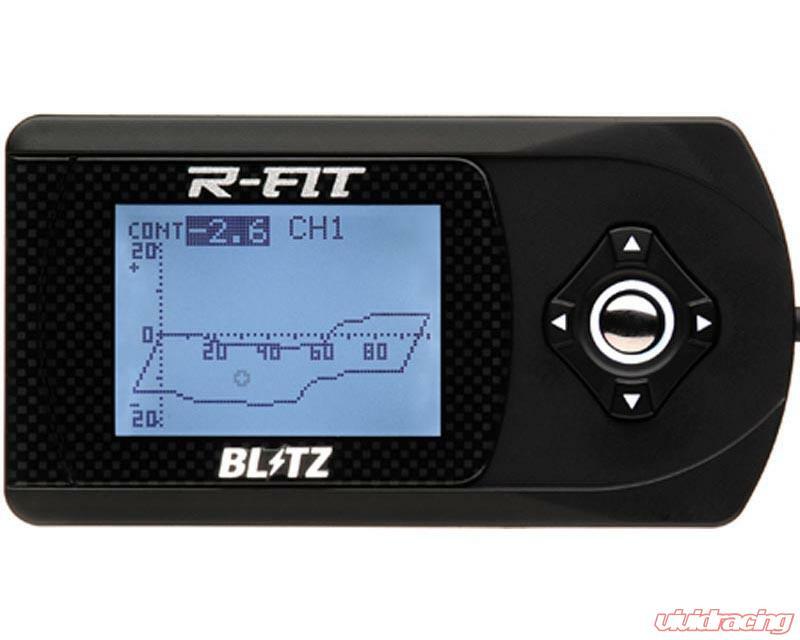 The R-FIT has many different settings, which can be calibrated and used in accordance with the vehicles set up. Once different fuel levels are matched to the engine modifications, changing between octanes and different boost levels is easy, as the device has two programmable channels. With a total for 64 maps that can be saved on one unit. Data is displayed in several styles and shows different parameters such as airflow voltage, induction pressure (MAP Type Sensors only) and engine speed as well as the fuel correction settings. Setup is straightforward with an easy configuration for air flow sensor type and engine cylinder size. Fuel control calibration allows injector pulse width duration to be increased and decreased by up to 50%, within a user defined 16 point range in 100rpm increments. Settings can also be transferred from one R-FIT to another through the infrared port on the side of the unit. When used in conjunction with the R-VIT, (Sold separately) two more data options can be displayed on the R-FIT plus an Anti-stall feature for turbocharged vehicles is available. Using the R-VIT also makes installation easier for the R-FIT due to the fact that the RPM signal can be sent via infrared port and less wiring is needed.